Oregon Health Sciences University, Portland. New edition of a board exam review in emergency medicine, for medical students or residents. 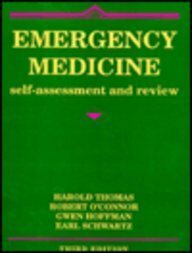 Keyed to Emergency Medicine, third edition, by Rosen. Multiple choice questions with answers. Previous edition 1988. DNLM: Emergencies - examination questions.